The Anatomic Pathology Residency Program at the University of Minnesota is designed to provide broad exposure to basic and applied aspects of veterinary pathology and to prepare the trainee for a career in veterinary pathology and diagnostic medicine. Residents successfully completing the program are qualified to take the ACVP Board examination. Pathology residents develop skills in gross pathology and histopathology by participating in a busy diagnostic laboratory service. These basic pathology skills are supplemented by training in clinical and comparative pathology, as well as population-based diagnostic medicine. Residents also participate in pathology teaching for the veterinary student pathology laboratories and instruct senior veterinary students on necropsy rotations. Residents are expected to actively participate in weekly seminars in gross, microscopic, production animal meetings, clinical pathology, and other specialty pathology rounds. A diverse faculty comprised of 12 ACVP certified anatomic or clinical pathologists and 6 production animal diagnosticians support this program. The caseload includes a wide variety of domestic, wild and exotic animals, birds, and laboratory rodents submitted to the Veterinary Diagnostic Laboratory and the Masonic Cancer Center Comparative Pathology Shared Resource. The total diagnostic case load is predominantly composed of production animal submissions (swine, bovine and poultry). After completion of the residency program, qualified individuals may pursue focused research training leading to the PhD degree through the institution’s NIH-funded T32 post-doctoral training program in Comparative Medicine and Pathology. 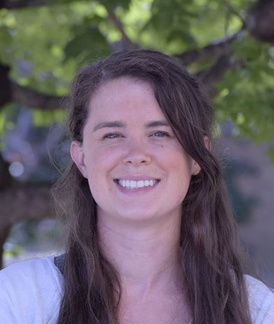 Dr. Kendall Langsten attended the University of Missouri where she graduated with her DVM in May 2017 and an MS in Biomedical Sciences in July 2017. She had previous received a BS in Integrative Biology and a BS in Animal Sciences from the University of Illinois in 2012. Dr. Langsten joined the University of Minnesota anatomic pathology residency program in July 2017. Her professional interests include comparative pathology, toxicologic pathology, and diagnostic pathology. Dr. Tim Carlson graduated from the University of Wisconsin School of Veterinary Medicine in May of 2016. He previously completed a Master of Science degree from the University of Wisconsin in the Department of Entomology in 2010. 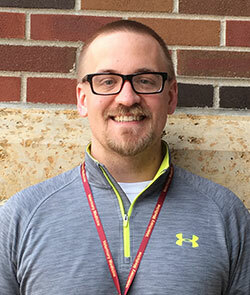 He joined the University of Minnesota anatomic pathology residency program in July of 2016. His professional interests include food animal pathology, infectious disease, and diagnostic pathology. 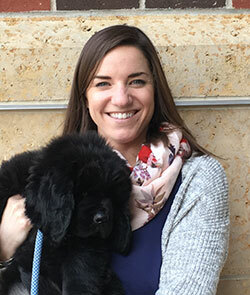 Dr. Meghan Moore (Meg) attended veterinary school at Colorado State University and is originally from Connecticut. Prior to veterinary school, she worked as a high school science teacher in Gallup, New Mexico. Living among the Navajo and Zuni reservations of the Southwest, she became interested in disease transmission and the health impacts of interactions between humans, animals, and the environment. In order to better address and understand these issues, she obtained both an MPH degree with a concentration in epidemiology and a DVM degree. She is excited to pursue training in pathology to obtain a more in-depth knowledge of disease processes, and combine this with her public health training in the fields of translational medicine and/or One Health. She also has a passion for teaching and is looking forward to interacting with the veterinary students on campus.